Coming later this month is a delightful new and eco-friendly way for kids to capture their thoughts, record memories or simply practice writing. 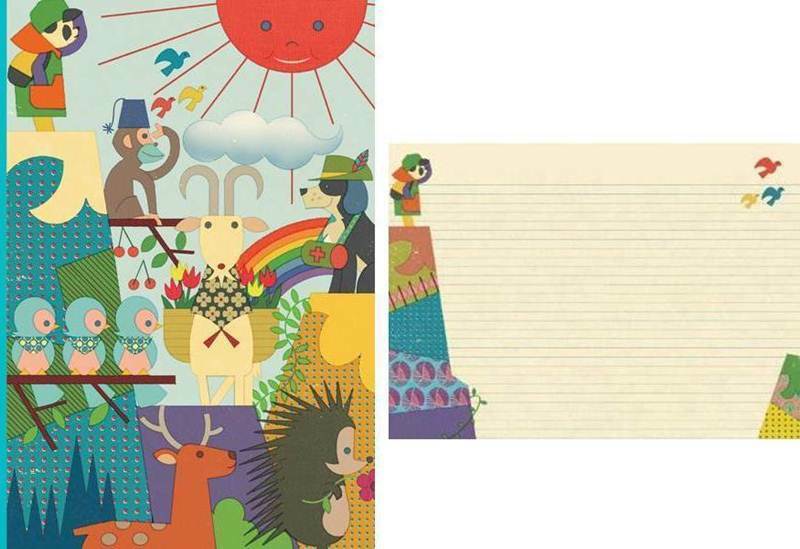 The Reaching New Heights Eco-Journal, designed by creative illustrator Junzo Terada pops with a colorful cover full of imagination. The lined pages inside the journal feature wonderful illustrations of animals in natural landscapes. The journal has nice rounded corners, and is made with 100% recycled content paper and the full-color illustrations are printed safely with soy-based inks. Perfect (and affordable!) for your little eco-writer. This journal is available for pre-order now and will be shipped out after March 7, 2012.